Rather calmer than the chaotic CDG Orly resembles a pre-1980s Heathrow Terminal 2 (simple beige interiors lots of windows). There's even a viewing terrace for spectators. On transport links though it's often suggested people should take RER B to Antony and then the ORLYVAL shuttle train this is a rip-off option. RER B to Antony takes a while from Central Paris and is often is packed out taking commuters into the southern suburbs whilst the ORLYVAL is a rip off. It's pleasanter cheaper (and from experience quicker) to get the more comfortable RER C to Rungis and then the shuttle bus to Orly. Quirky. It is straight out of the 1970s but found it quite good. Very tired looking but pretty efficient. Well connected signage a bit flaky but overall and average to good experience. A physical overhaul of the decor would not be a bad idea. Old-fashioned but efficient airport. Check-in quick and easy. Quick delivery of the luggage (15mn after arrival). Easy access to the public transport (Air France coaches). Good selection of shops and restaurants. Less prestigious airport than Paris-CDG but much more convenient. This is the civilised Paris airport and superior on almost every count to CDG. Easy layout to negotiate and a quick and well-marked exit to the city is available. Good quality landside restaurant but the quality of the facilities airside drops off markedly. Unkempt lavatories security facilities a bit of a squeeze (though I did not encounter any major delay getting through and staff were polite) and gate area seating is cramped. Interestingly many low-cost airlines are now using Orly airport. Its biggest advantage vs CDG is the close location to Paris city centre. Here are two cheap transportation alternatives if you are heading for Paris southern "arrondissements". The cheapest but also the most time- consuming alternative is to take bus no. 183 to "Porte de Choisy" where you can connect with the Metro line no. 7. The bus ticket costs around 2€. The faster alternative costing 5.60€ is the so-called Jetbus to "Villejuif" whre you can also connect with Metro no.7. Departing Orly from boarding area D do not be fooled by the vending machines placed just after security. They sell a 05l water at 2.50€ the same would cost 2.10€ at the shops located just before the boarding gates! Used this airport for first time - arrival on South Terminal the very end next to reconstruction site (Hall G). This is pretty old fashion airport so do not expect jetways fontains or wifi hotspots but fairly enough for easy transport means and connections. Swift immigration no checked baggage so headed for the Orlyval train in 10 mins after landing. The only point is one (!) counter for train tickets - fairly too few to manage todays traffic at the peak times (there are another two ticket machines accepting banknotes or credit cards as well). Departing on Thursday mid-evening easy navigation to the check-in though you have to slalom between some queues sometimes. Two counters for an 737 flight just okay staff friendly and working fast. Reaching the departure hall is a matter of walking steps up and down (due to the reconstruction) first you can reach understaffed passport control (3 out of 8 counters open) security just before the respective hall (was forced to remove my belt on the other side nobody cared the liquids in my x-rayed bag). This may be a stuck point so beware you slower movers and take some 30 mins to reach the G hall. Tried to buy some drink before security to take with but shops did not offer the security pack (I wonder if they would when purchasing a bottle of wine or scotch?). Airside there was just one small snack bar and one delights shop there. A lack of seating for a full plane pax load waiting at the gate. A bit chaotic gate staff changed by PA the gate number their english was from terrible (rather a nose sounds than words) to non-existent (only French announcement for passengers to another international destinations). Considering sometimes crowded RER train to the city (ok it was a peak time with many commuters) but easy access by the Orlyval than I would not hesitate to choose this place for short routes and transfer. A different experience more relaxed experience to the CDG and retro back to the old times. 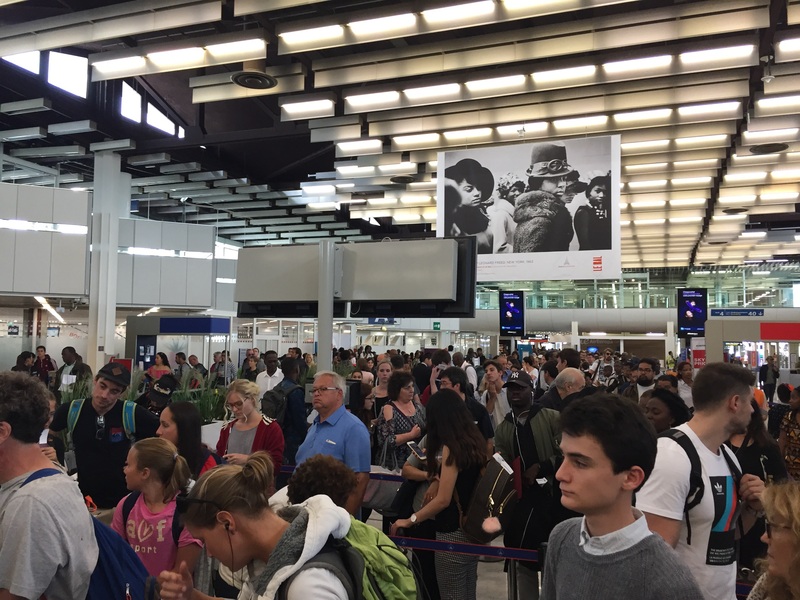 This was my first time passing through Orly airport on my way to Venice and I must say that the airport facilities are basic and the airport itself is outdated and has a depressing feel to it. The signage was not so fantastic and the waiting area was very cramped. The security was very slow with all this upheaval over the liquids. Nice old fashioned looking airport but the bars and cafes are a rip off and duty free shop minimal leave going through security till last minute. Beware of unscrupulous employees here I bought a bottle of coke for 4.50 euro which is bad enough in itself but I gave in 10 and only got 50 cents change. 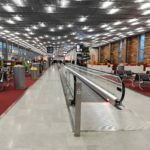 Paris Orly Since the mid-1970s all my flights to and from Paris had utilized CDG. This month I flew into ORY for the first time in nearly four decades. Memory had not deceived me. ORY is vastly superiot to CDG. 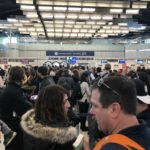 Luggage arrives more quickly; it's easier to get from place to place; and the amenities -- from shops and restaurants to taxi stand -- are all at least as good and certainly more convenient. 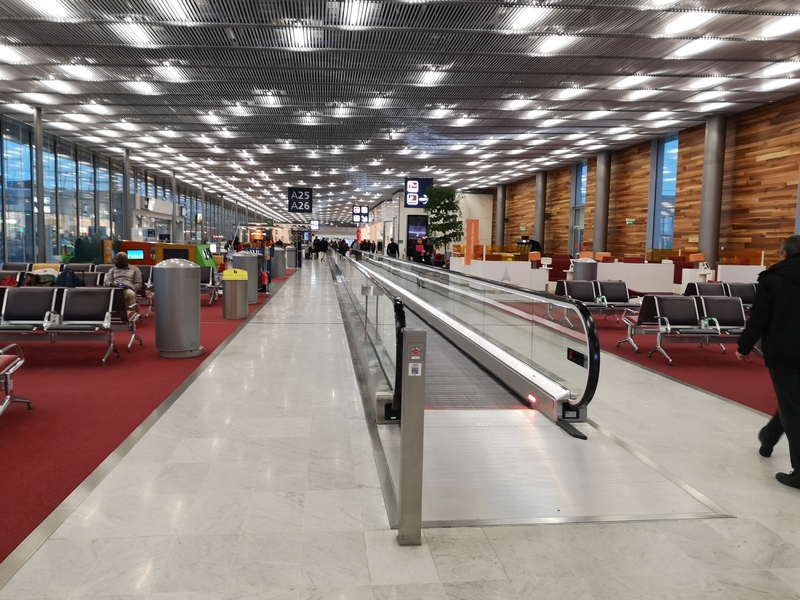 Orly is the better of the two Parisian airports with a much more lively and dynamic atmosphere. It has a much better passenger flow than CDG T1 and finding one's way around is relatively simple. There is a good selection of restaurants/bars/cafés landside. Checkin areas are relatively clearly marked and it is a fast process to departures for domestic flights. 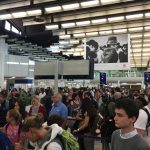 Security and passport control for international flights can be arduous due to staffing levels. What's good about Orly is that each checkin desk leads to its corresponding gate number meaning a short walk. 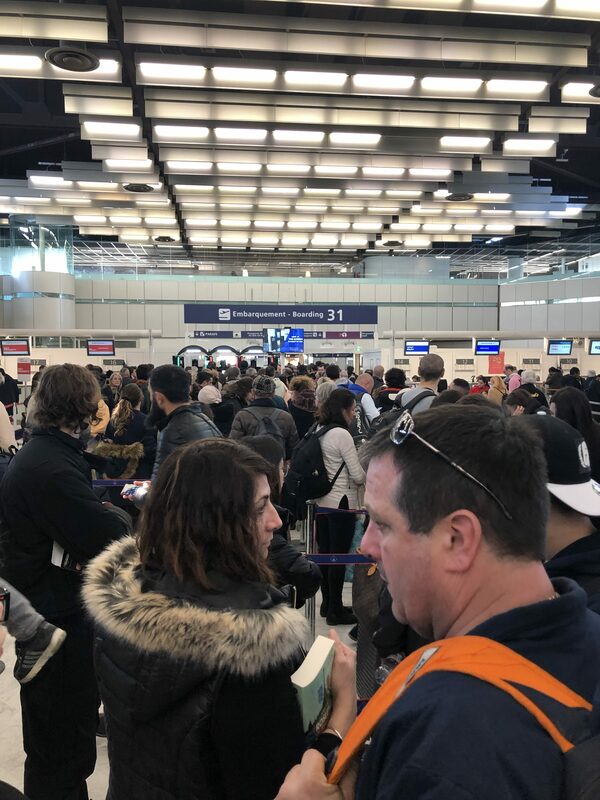 If you've got time to spend at Orly leave security until just before departure because there is nothing to do airside.